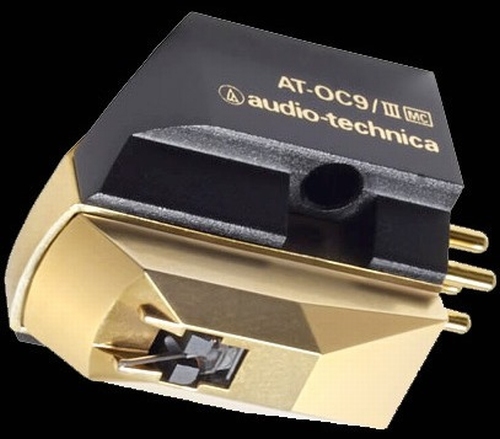 Audio-Technica’s AT-OC9 / III MicroCoil™ Cartridge features a special line contact stylus embedded into a low-profile solid boron cantilever, ensuring the music signals read by the tip of the stylus are transmitted reliably to the coils. The cartridge’s “VC mold” design ensures stability and rigidity while the dual moving coil offers excellent stereo separation and improved frequency response for long-lasting performance. The use of PCOCC wire (Pure Copper by Ohno Continuous Casting), a special copper with virtually no transverse crystal barriers to impede signal transmission, perfects the performance of the advanced dual coil design.